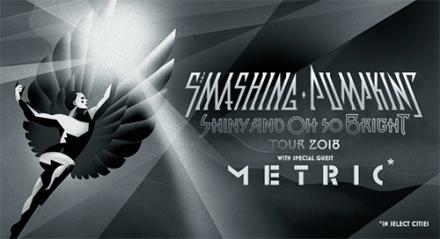 Los Angeles, CA - July 12, 2018 - GRAMMY® Award-winning, acclaimed alternative rock luminaries, The Smashing Pumpkins today kick off their Shiny And Oh So Bright Tour at Gila River Arena in Glendale, AZ. Produced by Live Nation, the tour is the band's first in nearly 20 years to feature founding members Billy Corgan, Jimmy Chamberlin, and James Iha. Longtime Smashing Pumpkins guitarist Jeff Schroeder, bassist Jack Bates, and keyboardist Katie Cole will also take part, as the band moves to a three guitar lineup to better emulate the signature tones and textures of their albums. The band will perform at arenas all across North America this summer with support coming from indie rock band Metric. Tickets for the band's upcoming live dates are available at www.smashingpumpkins.com, LiveNation.com, and via the Live Nation App. The monumental tour, which coincides with the 30th anniversary of the band's formation, will highlight music from the group's inception through 2000. It will exclusively feature material from their groundbreaking debut Gish through Siamese Dream, Mellon Collie and the Infinite Sadness, Adore, and Machina, as well as several covers. 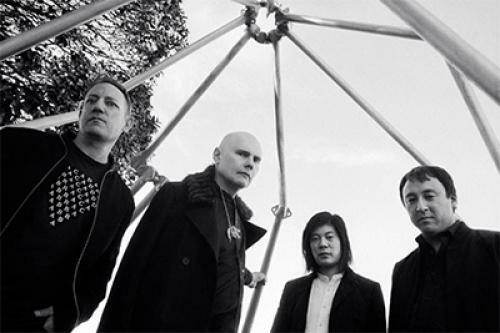 Earlier this month, The Smashing Pumpkins dropped "Solara", the first recording in over 18 years to feature founding members Billy Corgan, James Iha, Jimmy Chamberlin and additionally Jeff Schroeder. Recorded in Malibu, CA at Shangri La Studios with producer Rick Rubin, "Solara" is available now to stream and download on all digital music platforms via Martha's Music under license to Napalm Records. The dreamlike video for the track was directed by Nick Koenig and expands on the theatrics of the band's catalog of iconic music videos. Formed in Chicago, IL in 1988, The Smashing Pumpkins released their heralded debut album Gish in 1991 and found mainstream success with 1993's 4x multi-platinum Siamese Dream and 1995's 10x multi-platinum Mellon Collie and the Infinite Sadness. With nine studio albums and over 30 million albums sold to date, the GRAMMY®, MTV VMA, and American Music Award winning band remains an influential force in alternative rock.